I am the Director of the Ph.D. Program and Associate Professor in the School of Media and Journalism and Adjunct Associate Professor in the Department of Communication at the University of North Carolina at Chapel Hill. 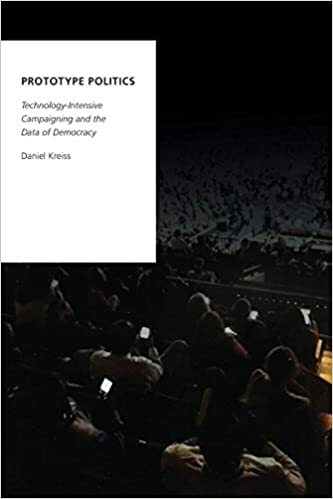 In Taking Our Country Back: The Crafting of Networked Politics From Howard Dean to Barack Obama and Prototype Politics: Technology-intensive Campaigning and the Data of Democracy I ask questions such as: how have technologies impacted opportunities for participation in electoral politics and civic affairs? How do digital technologies shape, and how are they shaped by, the actors in the public sphere? How do the forms of social organization made possible by new media rework our understandings and expectations of the state, law, and politics? Along with Nikki Usher, I am the editor of the new Oxford University Press book series: Journalism and Political Communication Unbound.